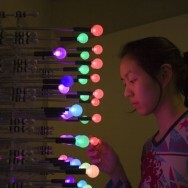 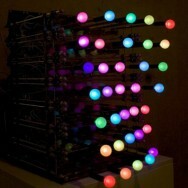 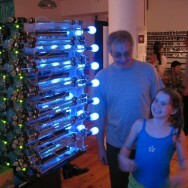 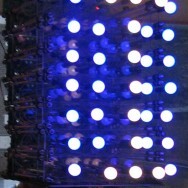 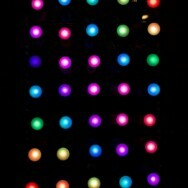 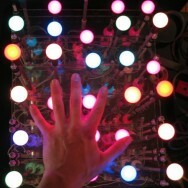 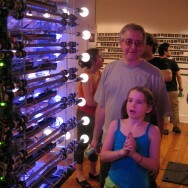 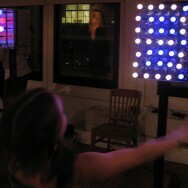 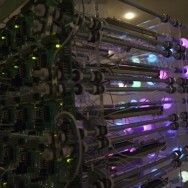 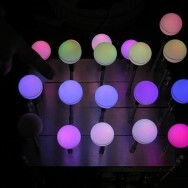 Glowbits is a matrix of motorized pixels that physically move as their colors change. 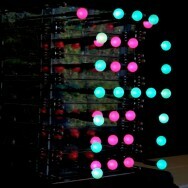 The result is an image which real depth and dimensionality. 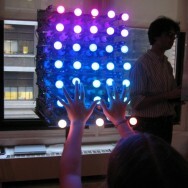 The project began as my thesis project at the Interactive Telecommunications Program at NYU in 2004. 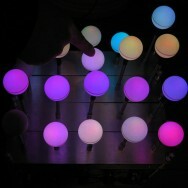 Tactile display to connect loved ones physically over distance.